The Central Bank left its key interest rate on hold as expected on Monday, citing concerns about high inflation, and said further rate hikes were possible if inflation remained above target. The decision leaves the bank's major policy rate, the one-week minimum auction repo rate, unchanged at 7.5 percent after cumulative rate hikes of 200 basis points in March and April linked to financial instability caused by the crisis in Ukraine. The Central Bank has played down expectations of rate cuts in the near future, arguing that it cannot afford to relax monetary policy at a time when inflation, which hit 7.6 percent as of June 9, remains well above the bank's 5 percent target for the end of 2014 and its medium-term target of 4 percent. 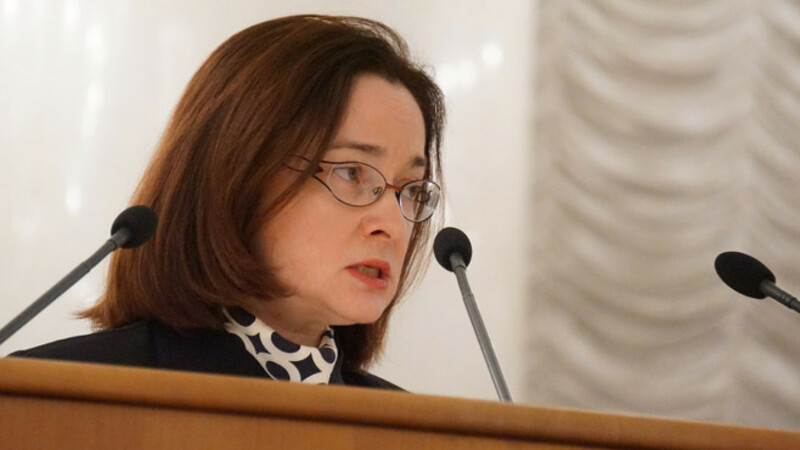 "Keeping the [bank's key] rate at the current level for the next few months will be enough to achieve medium-term inflation goals," Central Bank governor Elvira Nabiullina told a news conference after the regular board meeting. "However we observe the presence of significant inflationary risks at the current time. If these risks are realized, the bank of Russia will continue to raise the key rate," she said. The bank said a continuing slowdown in Russia's economy was having little restraining influence on inflation as the slowdown was largely caused by structural factors such as unfavorable demographic trends, high capacity utilization, sluggish labour productivity growth, and declining capital investment. The bank forecast that economic growth in 2014 would be 0.4 percent, below the government forecast of 0.5 percent, though it predicted a slight acceleration in the second half of the year. It also cut its forecast for 2015 growth to 0.9 percent and for 2016 to 1.9 percent. In February, the bank forecast the economy would grow by between 1.7 percent and 2 percent in 2015 and 2016. The steep rate hikes in March and April coincided with heavy selling pressure on the ruble stemming from the political crisis in neighboring Ukraine, which has fueled capital flight from Russia amid fears of tougher Western sanctions. Although the ruble has seen a strong rally in recent weeks the Central Bank has warned that it is too soon to relax its guard, citing continuing signs of financial instability. Nabiullina said the bank was sticking to its strategy of moving towards a freely floating ruble exchange rate but that it would temporarily keep its threshold for interventions before it moves the ruble's floating corridor at $1.5 billion. The bank increased its threshold for interventions from $350 million in March in response to the big ruble sell-off. On capital flight, which soared as the threat of Western sanctions over Russia's annexation of Crimea from Ukraine spooked foreign investors, Nabiullina said $7.4 billion left Russia in May, excluding currency swaps, down from $8.8 billion in the previous month. She reiterated the bank's forecast for capital flight this year of up to $90 billion. The ruble was little changed after the decision to hold rates. It shed 0.5 percent against the dollar on the day to 34.63, weighed down by fighting in eastern Ukraine and a gas dispute between Moscow and Kiev.